The workshop starts with an Initiation meditation. You are taken through the energetic core of the earth to connect with the heart beat of the planet. Followed by a purification process within the Cosmic Fire. During this initiation we connect your HeartFlames within the Diamond geometry and learn to direct energy from both the Cosmos and the earth. We build and strengthen the HeartFlames through our connection to the Cosmic Fire, the HeartFire of the Divine Source of All Things. During the workshop, information is taught relating to Sacred Geometry, Breath and Sound and the Spiritual aspects upon which the Cosmic Dance of Peace is built. An understanding of the Union between Yeshua and Mary Magdalene and the relationship to the aspects of our own sacred feminine and sacred masculine. The understanding and importance of the relationship of these concepts within your body will assist you to build and direct the flow of the Divine Union frequency through the central pillar of light. 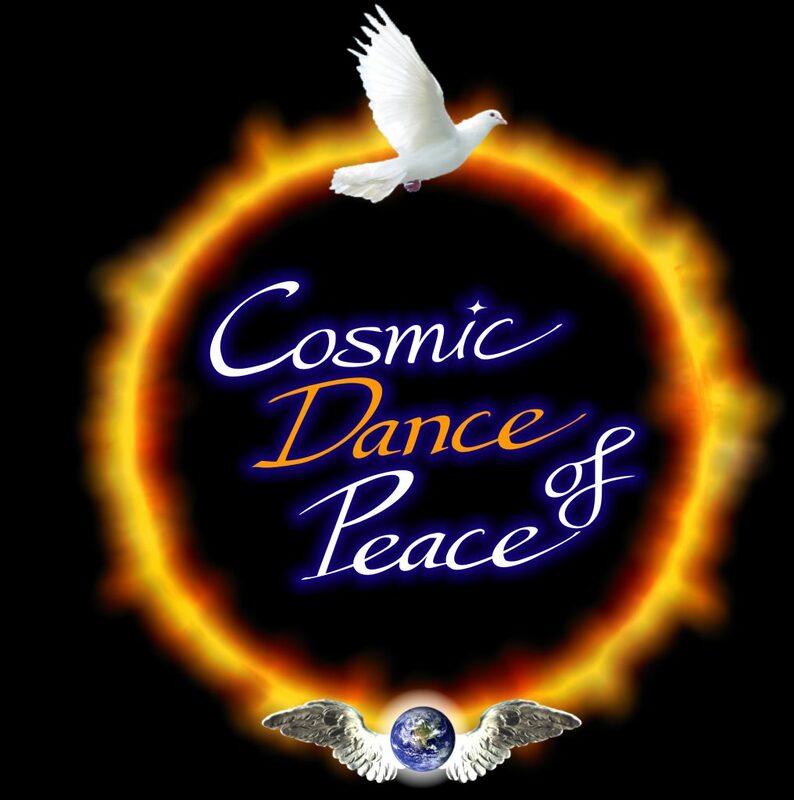 The afternoon is spent learning the Cosmic Dance of Peace movement series. Slow movements are learnt, similar to Qigong, movements keeping on one place with a strong earth connection, using the arms and rest of your body. These movements build a strong central pillar of light connecting between earth and the cosmos as you place yourself in service for our planet. Start the day checking in how everyone is feeling. Then a meditation which deepens the connection to the light which flows through the process. Amaliah Grace shares her journey of how this dance came about and it’s importance & relevance to the Template of Oneness. Repeat the Cosmic Dance of Peace series until the movements are well established in the body memory. Then in the afternoon do the Cosmic Dance of Peace in ceremony together. Booking essential to register your place within this small group. The Cosmic Dance of Peace prepares the body by filling the heart and raising the vibrational field of the human body to a point of readiness to open the stellar doorway and connect to a portal that enables us to receive a stellar shower of love and peace. Standing then as conductors between earth and sky the shower of love and peace is brought down to our beloved Earth and sent deep into the heart center of the earth, it’s divine core. Spreading a resonant field of love and peace throughout the globe. The Cosmic Dance of Peace is here to assist with energetically birthing the New Earth and to strengthen our connection to the Star Matrix and the Crystal Matrix within our Earth. It will open you up to your own doorway to Greater Dimensional Universes, the doorway to the union of sacred relationship with yourself, your sacred feminine and sacred masculine. This new level of frequency brought in from those assisting us across the Star nations will ease the birthing pains of our beloved earth as we assist her into the next dimension. A new frequency of Union has been birthed upon our planet with the return of the Magdalene Flame. Yeshua and the Magdalene joined together in Union are now here for us to fully embrace. The Cosmic Dance of Peace is here to pour the frequency of Union into our beloved earth as each of us participate as conductors for this frequency, thereby being fully of service to our planet and it’s evolutionary development. I invite you to come and be of Service to our beloved earth and enjoy the experience of Union. The Shine Coast group will be gather regularly to improve body memory and strengthen the group. We will gather together for the full moon whenever possible as we strengthen the portals of Union.